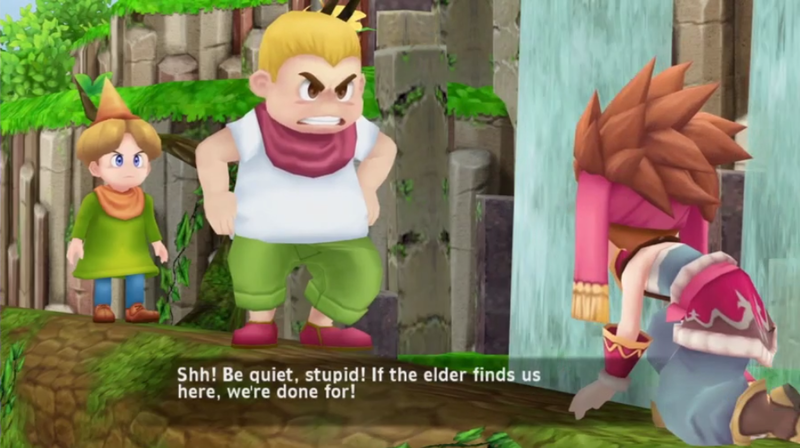 The Secret of Mana remake is headed to the PlayStation 4, PlayStation Vita, and Steam. At last weekend’s PAX West 2017, Square Enix had the game playable on the show floor but also shared gameplay via a live broadcast. Remade with 3D visuals, remastered sound, and various additions such as the inclusion of a mini-map, Secret of Mana will arrive as a digital release on February 15th, 2018. Was hoping for a fully orchestrated soundtrack and a Switch version. Preety conflicting emotions right now.. But overall, as much as the graphics aren’t cutting edge, I dig the artstyle. Hopefully the game is as good as the original. Highly suggest waiting for a Switch version to even happen. Games don’t get created in a few months, so this was obviously in development before the Switch was announced earlier this year and no one would know if creating a version for a system that had an uncertain future would even be worth the time to do. Obviously they can do it now, but they already have SD1-3 on the Switch already, so they obviously see there’s a possible market to put it on eventually. This looks like something I would not pay money for. I hope I’ll be able to get a SNES Mini to play the original game. Legend says that, to this day, Blonde Hair Kid’s face is still stuck like that. I am thinking of preordering the game.How is this game exactly?